There are a couple reasons for this, with the first being security. Mr. Gewirtz touches on this in his article, so I won’t go too much into it here. Just realize that, if you are on the internet, you are never truly safe. However, staying up to date on the latest patches and upgrades is the best way to keep your machine from being exploited by hackers and malware. The second point that Gewirtz talks to is the cost to upgrade. Upgrading can be a daunting process at times, but putting it off doesn’t make it easier. And your organization can buy down the risk of upgrading if it is implemented in a controlled manner. And if you implement a true IT Portfolio Management (PfM) Process, you can not only methodically update your current IT, but you can set up a set of gates and milestones to update your processes in a timely manner as well. Tactical Edge consults its clients on a PfM process based on a foundation detailed by Bryan Maizlish and Robert Handler in their book, IT Portfolio Management: Unlocking the Business Value of Technology. While this isn’t a silver bullet solution, the book offers high level guidance on how your company or organization can employ a process to ensure that not only your corporate technology stack stays up to date, but that your business processes are constantly evolving to maximize the capabilities that the technology provides. 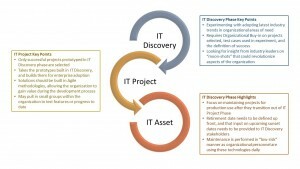 The book talks to employing three phases of IT PfM; IT Discovery, IT Project, and IT Asset. Phase I is called IT Discovery. This is where your organization looks at the latest trends in the IT industry, and works with its corporate stakeholders to determine if or how they might apply to your organization. The stakeholders in Phase I are key figures from across your organizations business lines, often in the executive or senior-VP ranks. In this stage they would identify their major pain points, and look at how the latest industry trends may help address one or more of them. The key point here is not to just look at the hot topics, but to try to imagine how they could support your business. 3D printing is a hot topic today, but if you are a software company it might not do you any good. However, as a software engineering company, if you are having difficulties engaging new customers, then looking at a Customer Relationship Mapping software and the latest trends in social media customer engagement might. It is important for the stakeholders to identify key test cases that relate to specific pain points within the company, and clearly identify the threshold for success. Sticking with the CRM example, identifying up front how many new relationships it would need to drive to be adopted makes the “go/no go” decision at the end of the phase easier. Phase II is known as IT Project, and this is where your organization begins adopting those projects that prove their merits during the IT Discovery phase. This is simple, straight-forward, project management. The technology has been researched, it has been tested, and now it is being implemented for an enterprise scale. 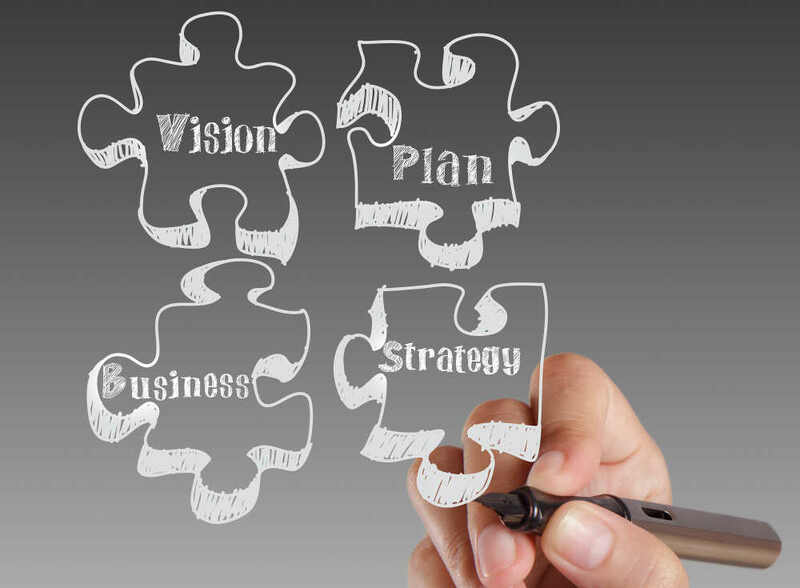 Tactical Edge coaches its client to build these new solutions using an Agile approach, to ensure that the company can begin seeing value as quickly as possible. This makes it easier for leadership to sell to both managers and lower-level employees. At the conclusion of Phase II, the new technology or process is ready for full enterprise adoption. The third and final phase is IT Asset. This phase is focused on keeping the solutions that are built in IT Project up-to-date and running smoothly. For each technology, a retirement date needs to be identified early. While these dates are often projected for 5 or 10 years down the line, this is to prevent them from becoming zombie technologies, or technologies that aren’t quite alive…but clearly aren’t dead either. Those are the technologies that force your organization to pay outrageously for support of Windows Server 2003, even though it official support stopped in July of 2015. 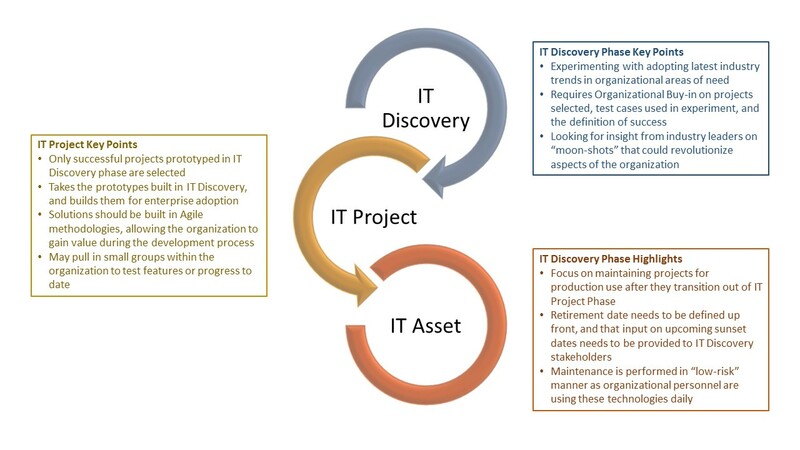 By identifying these dates early, and feeding them to stakeholders of the IT Discovery phase, a plan can be identified early to keep your company away from either operating at risk because your software is no longer supported, or paying expensive extended support costs. You can read the full ZDNet article here. If you are interested in learning more about Tactical Edge’s IT Portfolio Management support, email us info@tacticaledge.us for more information or to start a conversation.